Make way for the modern woman. Small town America saw substantial changes during the Great Depression. People were not just out of jobs and desperate for money, another notable shift was the role of women in the workplace and family. The golden age of traditional, Middle American values were on the way out which left many feeling nostalgic for a simpler time. Asa Spaulding felt this shift in society acutely in Maryanne O’Hara’s novel, Cascade. In the small, rural Massachusetts town of Cascade, Asa runs a small pharmacy, owns a nice house in town, is well known among the locals as a stand up man, and he has married a local women who he hopes will give him a family sooner rather than later. For Desdemona (Dez) Hart, the last thing she wants is to be stuck in Cascade forever. She marries Asa out of necessity. Her father was aging and the Depression left her and her father broke…marrying Asa was the only way to save their beloved playhouse and provide security for them both. Asa happily marries her and expects her to fulfill her wifely duties and provide him with children, keep up with household chores, and help around the pharmacy when required. When Dez’s father dies suddenly shortly after their marriage, a desire is awakened in Dez….a desire to get out of Cascade and per sue her dreams in New York City. She is a modern, independent woman–an artist, who has had the luxury of growing up with money and opportunities that most women didn’t have in that time…..she was able to per sue higher education in Boston and study art abroad in Paris. Dez honestly believed that her talents would take her an entirely different direction in life, but with the Depression effecting so many, Dez had to make a choice. Since she married Asa she was content painting at leisure and content with her life…until she meets Jacob. Jacob is a traveling salesman but he is also an artist himself. He plans on moving to New York and making a go of his dreams to become an artist. Dez and Jacob form an immediate attachment and start spending a lot of time together. In the small town of Cascade, everyone knows everyone’s business and tongues start wagging. Soon, Asa becomes jealous of the friendship between Dez and Jacob. Dez insists that their friendship is strictly platonic but deep down, she knows it has developed into something more than that. Dez and Jacob are kindred spirits and gradually their relationship turns romantic. They will soon discover that by acting on their desires, their choices have significant ramifications that will affect not only the lives of Dez, Asa, and Jacob, but the entire town of Cascade. While I was reading this book, I felt a beautiful, intelligent, vibrant story splashed on a blank canvas, coming alive page after page. 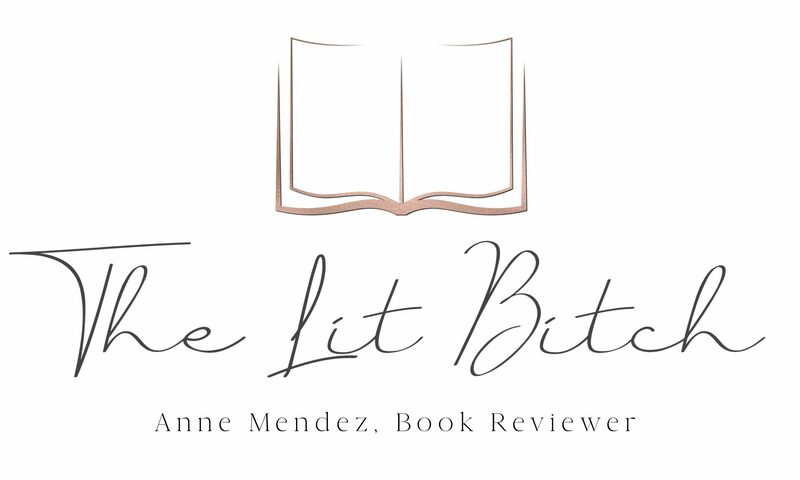 Depression era lit is normally not a genre that I review very often. The historic era just does not have a lot of appeal to me as a whole, but there is no denying that we see a lot of social change coming out of this era. I decided to give this book a try since I like to keep my reading pallet interesting. I am so glad I didn’t pass on this novel. While I didn’t always agree with how Dez acted or the choices she made, I felt inspired by her. There aren’t many who find the courage to follow their dreams and their hearts desires….especially in the 1930’s…..and especially women! She was not afraid to go for what she wanted—to hell with what society thought and what her husband thought…she wanted to do something for herself. I loved that unyielding quality about her character. What she did took guts, especially if you consider the historic period. I didn’t really care for either Asa or Jacob, but I suppose that was the point….it wasn’t a story about those two men or a love story really, it was a story about self discovery, life, and Dez. I could relate to Dez, as a woman, it is often easy to get caught up in society’s expectations of you…even in this new century there are expectations of women, which made her relatable for me. I loved the way that O’Hara made the reader really question what was ‘right’ and ‘wrong’ in the novel. I found myself wondering what I would do in Dez’s position and was it really ‘wrong’ of her to have an affair with Jacob considering how Asa treated her? Was Asa really a bad husband or was he just bad for her? I like novels that make me think about what I would do and this book did just that. I was glad that not everything in Dez’s life turned out perfect. I thought it was appropriate considering the theme of the book was “life if full of less the perfect choices” etc. I loved that Dez was an artist. As an artist myself, I love books where art plays a huge part in the story or the characters lives. I could visualize Dez’s paintings as if they were right in front of me. I actually wished the novel has pictures of the paintings so I could see them not just in my mind. The author did a great job capturing the essence of the Depression. So many things were changing. America was moving away from the traditional values of the early turn of the century and started moving toward modernization. The simple life was shifting to something different…gone were the family resort retreats like Cascade, social stigmas such as divorce was becoming more commonplace….small town America was shrinking. I really really enjoyed the symbolism that the author used in the novel to convey this feeling of change. Fantastic job! My only issue with the novel was that it was a little slow to begin with. It took me a little bit to get into the novel and the story. There was a lot of background info about Cascade and the reservoir/water issues that I glossed over a bit but once the story started to pick up I was hooked. I am also not a fan of the cover. I can’t quite put my finger on what it is that I don’t like especially but I just don’t know that I care for it. At times I liked it and at others I just didn’t. Personally, I think the novel is worthy of a more artistic and aesthetically appealing cover. The novel was colorful and real. Though it was set in a specific era and time in American history, it didn’t feel dated. I felt like the story was a timeless representation of women in general and would appeal to a variety of readers.A timeless story of one fearless woman who followed her heart….right or wrong. Be sure to check out the other Cascade virtual tour stops for interviews, guest posts, reviews, and giveaway opportunities. I also included a list of the other tour stops at the end of this post! Be sure to check it out! An invisible thread connects those who are destined to meet, regardless of time, place, or circumstance. The thread may stretch or tangle, but it will never break. I read this. Here’s what I thought. 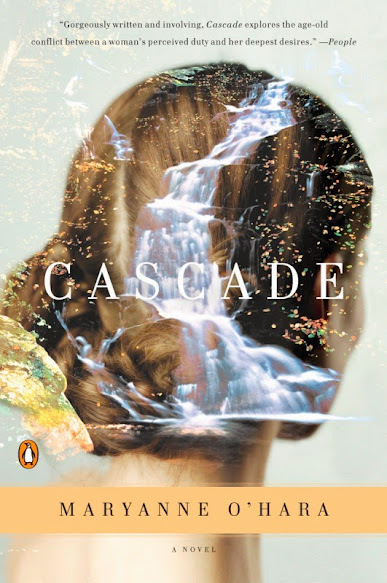 CASCADE by Maryanne O’Hara is a gorgeously written novel about a young artist in the 1930s who married a man because he had money at a time when she and her father didn’t, when they needed a home. Soon after the marriage, her father dies, and soon after that she befriends another man, a fellow artist. Then their small town, Cascade, becomes Massachusetts’ choice city to flood, to become a reservoir for Boston. This book would be perfect for the reader who likes well-written romances that are far and away better than most books called romances. CASCADE has a story that does not depend on descriptions of sexual gymnastics. The main character, Dez (Desdemona Hart), thinks, at length, too much. If the purpose of a novel is to capture and hold a reader’s attention, to entertain them, CASCADE wanders from that intention too often with excessive narration. I believe that is the reason one reviewer said she could not finish this book. She thinks the reason is Dez. She thinks that Dez is too unlikeable to care about. But who says a reader has to like a main character for a book to be a success? Granted, Dez is detestable. She marries a good-looking successful pharmacist, Asa, just so she and her father have a home. At her every mean and selfish act, Asa forgives, even goes out of his way to be kind. How could she not love someone like that? Instead, she chases after another man, one she continues to love for years and years.